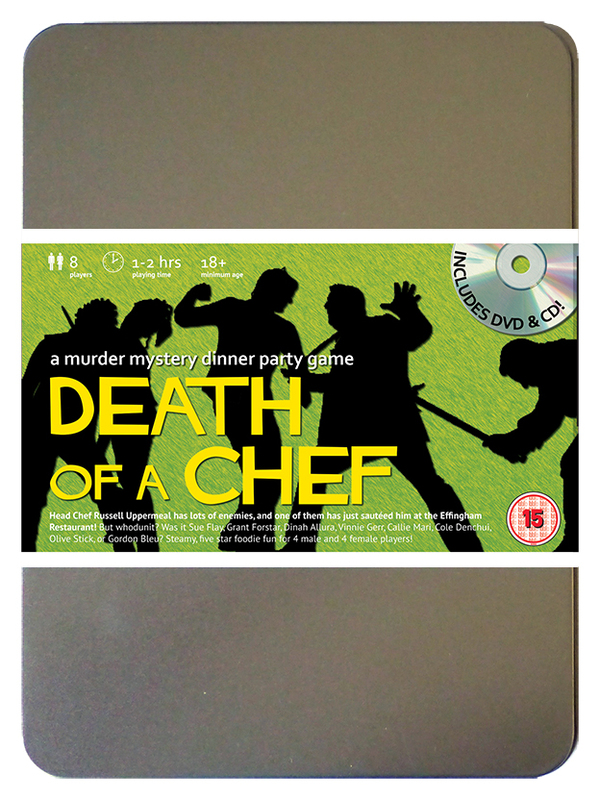 Death of a Chef - �.99 delivered. DVD - These four short pieces of film evidence will add excitement and atmosphere to your party. Cert 15. (DVD content is completely optional and not required to play). Music CD - The original background music CD to add atmosphere to your party (optional, not required to play the game). You are viewing the boxed version. Want it now? Click here for the download version.